There has been some recent discussion on this blog about whether or not the circumstances over the last decade have been favourable for building the left. If we look at England alone, and judge by results then we would reasonably deduce that the situation has been unfavourable. But let us compare ourselves with Germany. 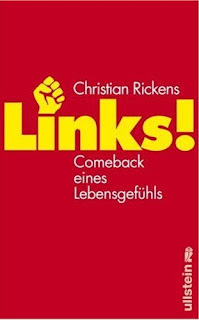 Christian Rickens new book “The Left! The revival of an attitude to life” simply couldn’t have been written in Britain. 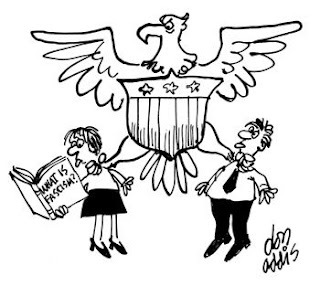 by Laurence W. Britt from Free Inquiry magazine August 2008 Fascism’s principles are wafting in the air today, surreptitiously masquerading as something else, challenging everything we stand for. The cliché that people and nations learn from history is not only overused, but also overestimated; often we fail to learn from history, or draw the wrong conclusions. Sadly, historical amnesia is the norm. Will history repeat for the Greens? by Auckland union activist "History never repeats, I tell myself before I go to sleep." This line of wishful thinking from a Split Enz hit song sums it up for the Greens leadership. Just as the Alliance leadership were dragged by their Labour government allies into supporting the vengeful invasion of Afghanistan against wide opposition in their membership ranks. The Greens leadership has been dragged into Labour's "pollution trading" scheme, against wide opposition in their membership ranks. The Greens leadership will be optimistically humming the Split Enz tune before they go to bed each night until the election. They'll be hoping like hell the voting public won't abandon them, as happened to the Alliance. RAM - Residents Action Movement Media release 28 August 2007 RAM will be joining other social justice advocates on Saturday's protests in Auckland and Wellington against the arrests and charges of those targeted in last October's police "terrorism" raids that turned out to be not terrorism. "The state terror raids were later found by the Solicitor General not to be about 'terrorism' at all. The minor arms charges that were eventually laid would appear to be an attempt to justify the unjustifiable," said Grant Morgan, chair of RAM (Residents Action Movement). Below and attached is the communique that RAM will be issuing this Saturday at the protests: Solidarity with arrestees of state terror raids Statement by National Executive of RAM (Residents Action Movement) RAM condemns the clear abuses of state power which occurred during the 2007 anti-terror raids, particularly the blatantly illegal conduct by members of the NZ Police Force, and the nature of the legislation with which the accused were initially charged (the Terrorism Suppression Act), as grounds for objection by any reasonable citizen. The use of phone-taps and other contraventions of the rights of the accused during evidence gathering by the Police, and the manner of the arrests themselves, render the entirety of the raids incompatible with the values of a free, democratic society. The decision of the Solicitor General not to lay charges under the Terrorism Suppression Act, and the possibility of that act's repeal, are to be applauded as steps away from the slippery slope to US Patriot Act-style legislation which this country had been heading towards. However, the fact remains that numerous individuals were wrongfully targeted under this legislation, and in all probability remain under covert surveillance to this day. Those individuals charged with "minor" offences are likely to have their cases prejudiced by the circumstances under which the charges were laid. Obviously such a state of affairs is highly repugnant, and deserving of condemnation. With this in mind, RAM extends its solidarity to the persons unfairly targeted by the state apparatus. See also Global Day of Action 30 August - Drop the charges! EPMU and SFWU members sign RAM's popular GST-off-food petition at a mass union meeting in Manukau. 250 signatures were collected in short time. People were very interested in RAM's new leaflet advertising the Greater Auckland stopovers of the People's Procession to Parliament. Two extracts from The RAM Plan (on climate change). Green Party media release 26 August 2008.
by Tariana Turia Speech to parliament 27 August 2008 On the 8th November 1918, Tahupotiki Wiremu Ratana, received a vision to gather signatures for a petition, to take to Parliament, to convince Government to make Te Tiriti o Waitangi part of the law of the land. It is a vision still waiting to be realised. 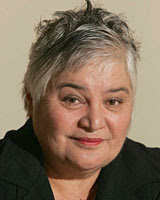 Maori Party media release Tariana Turia, Co-leader of the Maori Party 26 August 2008 The dramatic 7.6% rise in food prices announced yesterday by Statistics NZ is but another factor in the hardship being endured by more and more New Zealanders says the Maori Party. "It is the basics that are hurting our families the most" said Mrs Turia. "We're not talking about luxury items - families have suffered price hikes of 89.4% for butter; 19.6% for bread; 59.3% for cheddar cheese; and 10.2% for milk ­ core items in the weekly shopping basket". "But the biggest worry has been the impact of a 3.6% increase in fruit and veges ­ an increase which low income families have been struggling to meet over this long winter" said Mrs Turia. "All the research tells us that under the persistent pressure of other costs such as fuel and housing, people are being forced to make a choice whether healthy food is worth it" said Mrs Turia. "Massey University's Dr Emma Dresler-Hawke and Otago University's Professor Jim Mann have both come out with independent studies, concluding that if Government wants to make healthy food choices affordable, they must give serious consideration to removing the GST off food". "The Maori Party supports the call from the Public Health Association and the National Heart Foundation for GST to be removed from the nutritious basics of the New Zealand diet ­ fruit, vegetables, milk". "The excuses put forward by other parties, that it would be administratively challenging, or would involve some investment ­ are just excuses" said Mrs Turia. "If we are seriously concerned about the health and wellbeing of New Zealanders ­ and the Maori Party is ­ then taking GST off the basic food elements of the household grocery list ­ is an easy way to make a difference" said Mrs Turia. There is no doubt New Zealand is undergoing a process of constitutional change. Unusually, it’s not being forged in the fires of civil war, insurrection or coup d’etat, so we have the luxury of taking a more measured approach than some other nations. by Dr Maria Bargh from New Zealand Journal of Social Sciences Online May 2006 In June 2003, when the Government announced its intention to legislate regarding the foreshore and seabed, two of the Government’s central claims were that they sought to protect the foreshore and seabed for “all New Zealanders” and that they were treating all New Zealanders in a fair and equal manner within the legislation and according to the procedures of parliament. In this article, I will firstly examine a number of events which have occurred since the passing of the Foreshore and Seabed Act 2004 and which I argue bring into question the Government’s claims surrounding the foreshore and seabed legislation.1 Having the Government’s actions characterised as breaching Te Tiriti o Waitangi and national and international human rights laws and standards suggests a level of inadequacy in our constitutional arrangements. It is in respect of this inadequacy that a change in game plan appears now to be required. When players change the game plan in rugby they completely change the tactics of their play. I suggest that given the inadequacies of our current constitutional arrangements, a change is needed to provide for constitutional development and to adequately protect Te Tiriti, human rights law, and subsequently Maori. 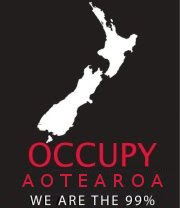 A People's Constitution for Aotearoa? 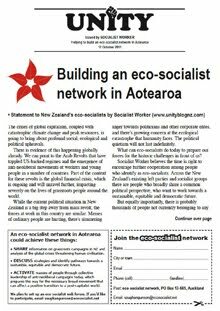 SOCIALIST WORKER FORUM: A People's Constitution for Aotearoa? Green Party dilemma - are we for emissions trading, or not? The Russia-Georgia war has revealed a new balance of power in the world – and exposed the hypocrisy of U.S. politicians and the media who decry the imperialism emanating from Moscow, but embrace it when it's made in the USA. With 99% of the votes counted, Bolivia's first indigenous president won a crushing 67.43% majority in the August 10 recall referendum. 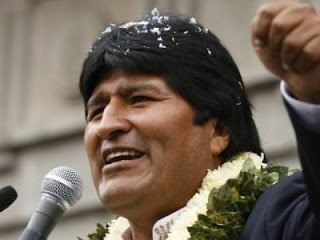 Surpassing the 53.7% he received in the 2005 national elections, which until then was the highest vote recorded by a presidential candidate in Bolivia's history, the result confirmed the broad support for the Morales government's project for wide-ranging social change. by Tamara Pearson from LINKS - International Journal of Socialist Renewal 30 July 2008 We stayed up until 2 am two nights in a row - students from a range of faculties, and young people from various movements and revolutionary organisations. In the campsite of La Mucuy in the Andean city of Merida, we discussed and debated the role of youth in Venezuelan’s revolution and the construction of a youth wing of the PSUV (United Socialist Party of Venezuela), while around us clouds hugged the buildings and mountain slopes, horses slept in the foreground and mosquitos made meals of our legs and faces. by Robin Hahnel Monthly Review January 2008 Robin Hahnel is professor of economics at American University in Washington DC and currently visiting professor at Lewis and Clark College in Portland, Oregon. This article is adapted from a speech the author gave at the Ministry for the Communal Economy in Caracas, Venezuela on July 13, 2007, attended by both their employees and employees from the Ministry of Planning and Economic Development. Robin Hahnel was a guest of the Centro International Miranda in Caracas for its July 2007 Workshop in Socialism and Human Development. During his stay, we arranged for him to speak at the Ministry for the Communal Economy. This ministry not only oversees and supports the significant Venezuelan cooperative sector and provides training in the principles of cooperation but has also moved recently to develop “socialist enterprises,” which work closely with communal councils. Since one of the principal goals of these organizations is to attempt to avoid the infection of the market, Robin’s talk was oriented toward providing them with important weapons for the battle of ideas. It will be obvious, however, that his demystification of the wonders of the market can be a weapon not only in the Venezuelan struggle but in the movement for liberation globally. I am here to salute you – because you are attempting to do what nobody has ever succeeded in doing before – help autonomous groups of workers and consumers plan their interrelated activities democratically, equitably, and efficiently themselves. You have already created the elements of what you call the “social economy” – worker-owned cooperatives, communal councils, municipal assemblies, participatory budgeting, subsidized food stores, health care clinics, and nuclei of endogenous development. Now you want the cooperatives and communal councils to display solidarity for one another rather than treat each other as antagonists in commercial exchanges. And sooner rather than later you want the benefits of this kind of participatory, socialist economy to encompass the entire economy and all Venezuelans. 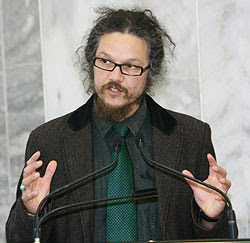 UNITYblog has asked the question: Do we need a new constitution for Aotearoa? If you would like to have your thoughts on this issue posted on UNITYblog send to editor@unityblognz.com Our first response to the question is from Penehamine Netana-Patuawa. Tena koutou katoa. E mihi ana ahau i te Matua nui i te Rangi. Ko Mahuhu ki te Rangi te waka. 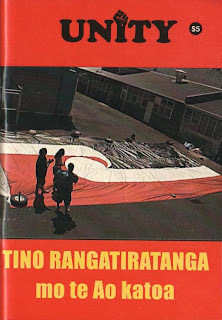 Ko Ngati Whatua raua ko Te Roroa nga iwi. Ko Taita raua ko Waikaraka nga marae. Ko Maunganui te maunga. Ko Kaihu te awa. Ko Waipoua te ngahere. Ko Omamari te moana. Ko Raroa toku Papa. Ko Betty toku Mama. Ko Penehamine Netana-Patuawa taku ingoa. No reira tena koutou tena koutou tena no tatou katoa.Any written constitution must be revolutionary in nature. The word revolution can be divided into two parts: Revolve; Evolution. Each part is separate, yet linked. Revolve, to turn completely around. Evolution, to progress and change. from MCOT, Malaysia 1 August 2008 A new Thai government-sponsored package containing six measures designed to assist the low-income public, including both free bus and train fares for six months, was launched on Friday. Acting State Railway of Thailand (SRT) governor Thawil Samnakhon said on Modernine TV Friday morning that he expected the free rides which are now being offered on third-class and non-air-conditioned trains would increase the daily passenger volume between 15-20 per cent as compared to previous ridership. Assessment of traffic routes which are most heavily used by travelers will be conducted so that the SRT could increase its services to cope with passenger demand, he said. The SRT is expected to lose about Bt250 million in revenue, Mr. Thawil said, but the government will help pay for the losses. Meanwhile, Pinet Puapattanakul, director of the state-run Bangkok Mass Transit Authority (BMTA), said his agency had already prepared 800 buses for to serve the increased volume of Bangkok passengers. Mr. Pinet said bus services would remain unchanged although the bus agency does not collect fees. Service assessment will be made this week which could be used for improving bus services in future. All six measures are being implemented from Friday, except for the reduction of excise tax on fuel which began July 25. The measures are aimed at boosting the Thai economy, which has become sluggish due to soaring oil prices, and also to assist the poor and low income wage-earners. The measures concerned are cuts in excise taxes on fuel, postponing an increase in prices for liquefied petroleum gas used by private householders and the free use of tap water by households using less than 50 cubic metres per month. The government will absorb the cost. The other measures are the free use of electricity of less than 80 units per month by households, with the government shouldering the expense, while for households using less than 150 units per month the government can pay half the bill, free travel on 800 ordinary buses operated by BMTA on 73 routes within Bangkok and its outlying areas, and free travel on third class railway carriages. Prime Minister Samak Sundaravej has said the measures will cost the government about Bt46 billion (US$1.4 billion). UNITYblog Question: Do we need a new constitution for Aotearoa? Do we need a new constitution for Aotearoa? This institution has a student registration of 189,000 students in its main branches and the so-called municipal villages (satellite classrooms); 2,900 technicians have graduated between 2006 and 2007. At the end of the first semester of 2008, a further 1,900 students graduated. The Bolivarian University of Venezuela (UBV, Spanish acronym) has reached its fifth anniversary working for an alternative paradigm aimed at building new forms of social interaction. This trade agreement between New Zealand and China fails to protect the sovereignty of the democratically elected Government of New Zealand, and it places significant restrictions on the future ability of the New Zealand Government and Parliament to pass regulations to protect the people and environment of Aotearoa New Zealand. There are many reasons why the New Zealand Government should not have signed this preferential trade agreement with China, not least of which is the fact that New Zealand signed this agreement while China was involved in the murderous oppression of the people of Tibet. It is also of grave concern that this agreement has no binding labour or environmental standards. The lower wages and standards in China will effectively be a non-tariff barrier to fair trade, giving corporations that pollute or pay inhumane wages a competitive advantage over those that do not. 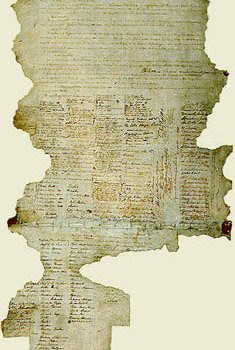 Could the Treaty of Waitangi be incorporated into a re-founded people's constitution of Aotearoa? by Vaughan Gunson from UNITY journal July 2008 Last year the United Nations produced a Declaration on the Rights of Indigenous People which had been 24 years in the drafting. It was finally presented to the UN General Assembly to be ratified. The vote: 143 for and only 4 against. The countries that opposed this reasonable, but far from radical, declaration were the United States, Canada, Australia, and New Zealand. Maori in this country were outraged. 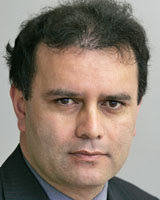 Dr Pita Sharples, Maori Party co-leader, said it was “shameful to the extreme, that New Zealand voted against the outlawing of discrimination against Indigenous People; voted against justice, dignity and fundamental freedoms for all.” The reason Helen Clark’s Labour government gave for voting against the declaration was that the definitions of self-determination extended to the exclusive control of territorial resources. This, they said, threatened the sovereignty of the nation state. Echoing claims made by former National Party leader Don Brash in his infamous “race speech” of 2004, the government claimed that the UN declaration was “discriminatory” and could see “separatist minorities breaking up countries”. Something is stirring among the workers. I can't quite put my finger on it yet, but if National does win the next election I don't think it will share the same passive relationship Labour's had with New Zealand's working poor. I'm sure this has a lot to do with the fact Labour introduced four weeks' annual leave, effectively abolished youth rates, brought in the Working for Families package, raised the minimum wage by $3 in the last term and generally gave workers more legislative protections. 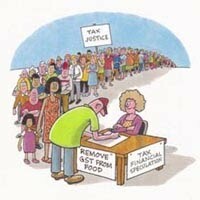 But it seems although the economy is weakening, workers' expectations are not. Employers have had a great couple of decades in which industrial power has been in their favour. 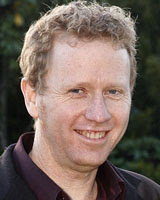 It's been up to the current Government to pass pro-worker policies, largely with the support of the Greens, Maori and New Zealand First parties. Climate change is already occurring, much faster than the world’s scientists have predicted. Recent data including the very real possibility of the arctic sea-ice melting by September this year demonstrate that this is a climate emergency. We are concerned that the Australian government’s proposed Emissions Trading Scheme will be full of loopholes and by the government’s own admission will allow emissions to continue rising for some years. We believe such incremental measures are unacceptable: We need greenhouse emissions to start to fall immediately and sharply. End logging of old growth forests. We call for a national week of protests across Australia at the Spring Equinox, in the week beginning September 21. This week of action can highlight the summer melt of the Arctic ice and other worrying signs that demand urgent measures to de-carbonize the economy from state and Federal governments. 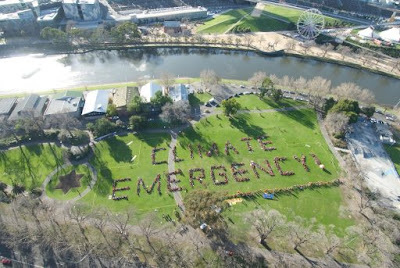 We ask climate change campaign groups and networks and all environmentally concerned organizations across Australia to work together for a coordinated and effective week of public protest around these themes. Within 10 years, homeowners could power their homes in daylight with solar photovoltaic cells, while using excess solar energy to produce hydrogen and oxygen from water to power a household fuel cell. If the new process developed at the Massachusetts Institute of Technology finds acceptance in the marketplace, electricity-by-wire from a central source could be a thing of the past. 95 A people’s constitution for Aotearoa? There are four issues of UNITY journal published a year. Postal subscription inside NZ $25 for one year. Offshore fastpost $NZ40. Make cheque out to 'UNITY'. Send to Socialist Worker, Box 13-685, Auckland, New Zealand. Why doesn't the EPMU's Work Rights Checklist include the right to strike? EPMU national secretary Andrew Little. His lips are sealed on NZ workers being denied their most basic right: the right to strike. The EPMU have released their work rights list. This list, which the EPMU describe as a basic checklist, omits the most basic of all work rights. I have read this list carefully, and missing even from the footnotes and small print, is the right to strike. This is amazing, as the EPMU has been recently hammered because of the restrictions of the right to strike in defence of their members at Air New Zealand and Fisher & Paykel. I wonder why on earth this basic right of workers, which is enshrined in the UN charter of workers rights, has been glaringly omitted from the EPMU’s Work Rights. This omission raises some serious questions of the EPMU leadership. Did the EPMU leadership leave out this most basic of work rights from their list because the EPMU leadership think that the right to strike is not an important work right? Do they really think workers and unions can make any gains, or even defend themselves, without the right to strike? Is the EPMU leadership comfortable with the ban on strikes in the ERA? Or is this omission because they don't want to embarrass the Labour Party, who have refused to repeal the restrictions on the right to strike which were at the heart of the ECA, and have instead increased the restrictions on the right to strike? At some level I think the EPMU leadership probably believes in each one of these reasons for not championing the right to strike. But the most important one is the last. 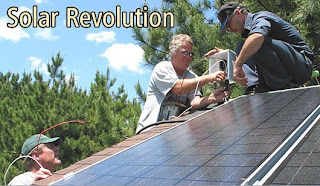 Solar cells getting better and cheaper fast as oil prices soar, soon it will cost as much to get electricity from the sun as from the grid, and distributed small scale generation is the way ahead. As oil prices soar, solar power has been undergoing a boom, along with other renewable energies, which attracted more than US$100 billion investment last year in new power and heating capacity, manufacturing plants, research and development. 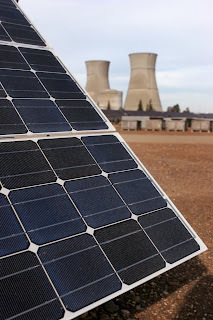 Investment in solar power capacity and manufacture amounted to US$31.3 billion, while US$33. 4 billion was invested in wind.